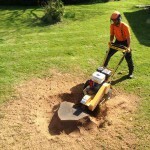 Stump Grinding is often the last stage of permanent tree removal. 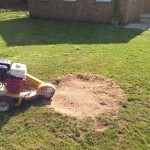 After trees have been felled, you will have been left with an unsightly, ground level stump. If this is not an issue for you, it can be left in the ground but may cause problems in the future. These problems include the likes of root diseases and fungi such as honey fungus. Suckering can also occur and is when new shoots grow from the stump if it’s still alive. 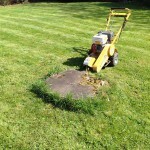 Stump Grinding can be done at any time of year. 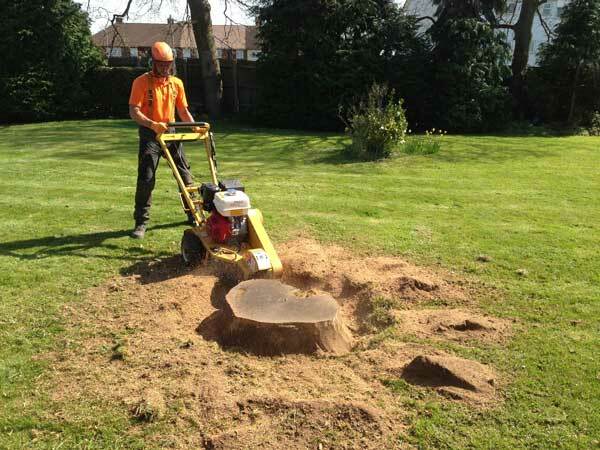 Smaller stumps can be removed by hand, though the majority will require the use of specialist equipment. 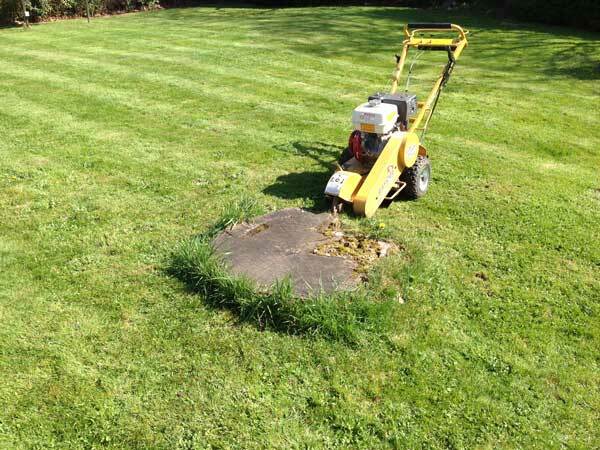 We have invested in a variety of Stump Grinding Machines to enable us to tackle each task on it’s individual merits. This allows us to take into consideration the surrounding area and access requirements. 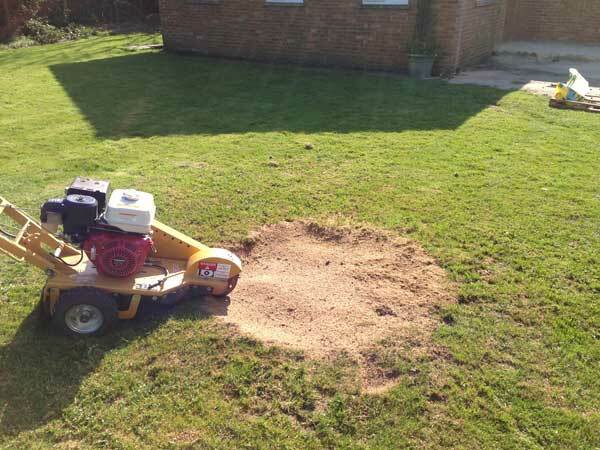 For some properties where side or rear access is an issue, we have a Stump Grinder that can be taken through most homes. 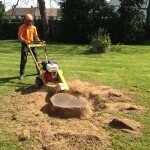 We are happy to come and inspect any stumps that you wish to have removed and provide you with the necessary advise. We will also be able to ascertain the suitability of the equipment needed to carry out any such works and decide upon access suitability. 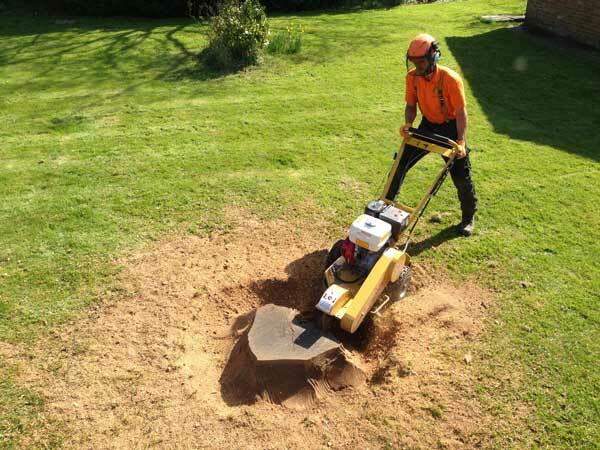 Stump Grinding removes the upper section of the root ball, taking it sufficiently below ground level to allow for the reinstatement of lawns etc. The residue from the grind is a sawdust like mulch which naturally beaks down, adding nutrition back into the soil.